Would you like to hear a few tips on how to improve your community, connection and conversation? Well, Katie Wyatt discussed just that topic during her We Are Podcast 2016 presentation. In this episode, she teaches you how to convert more clients from your podcast with some tried-and-tested, easy-to-follow social media tips and tricks. 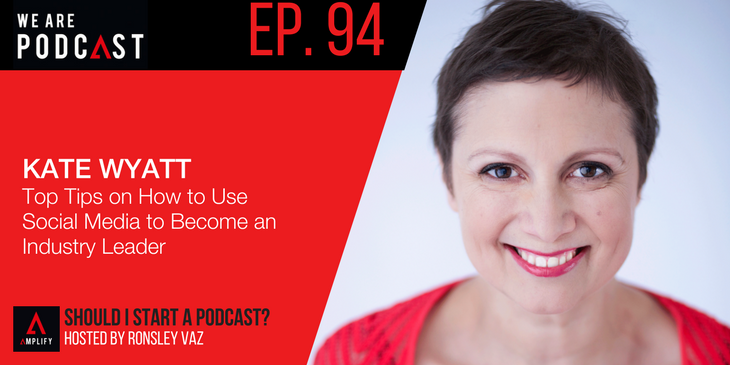 Katie is a speaker, podcaster, consultant, trainer and coach in the online world. She has over 15 years of business experience in marketing, writing and editing. Katie hosts the Empire by Design podcast and co-hosts #LadyBoss Chats. She also facilitates two Facebook groups – Empire Builders and Podcaster Posse. The quickest way to create your first 75 blog posts that will help you sell your products and services. Click here to access The Content Amplifier!